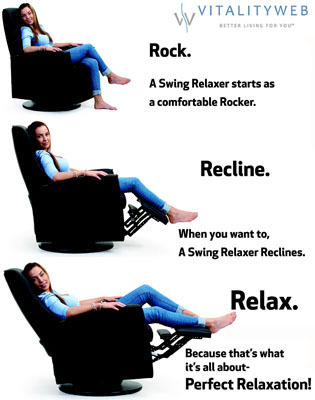 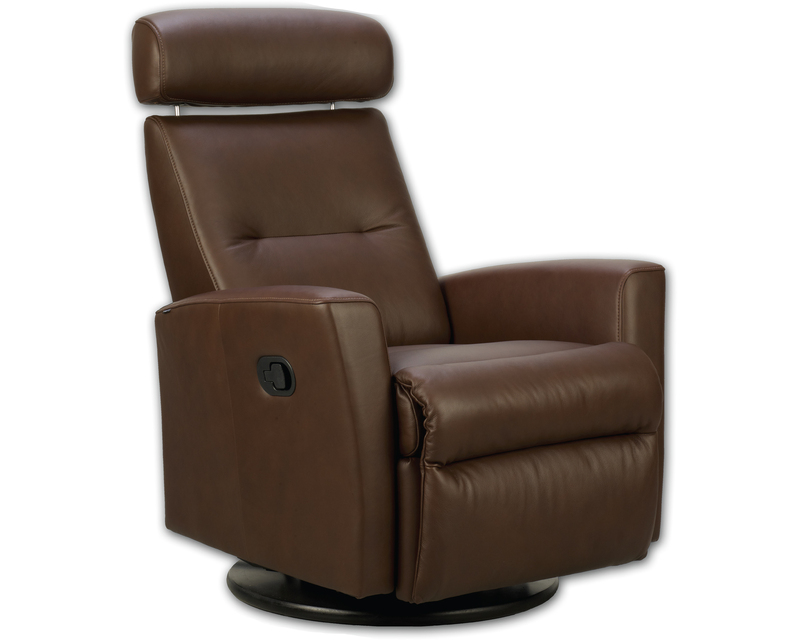 Seat Depth 23" - Seat Height: 19"
Fjords Madrid Swing Recliner with 360 degree rotation for manual and around 90 degrees for the power recline model. 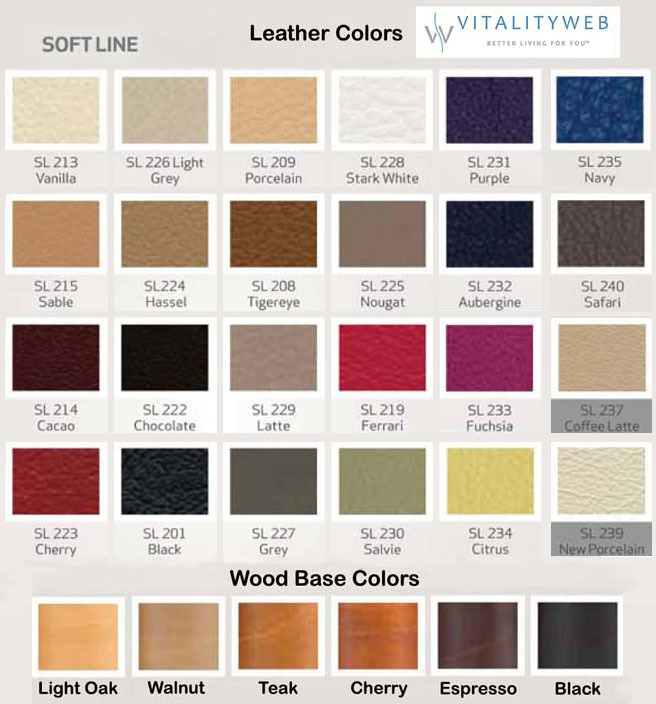 Available in three grades of Leather - Entry Nordic Line NL Leather, Soft Line SL Leather and the Higher Grade Astro Line AL Leather. 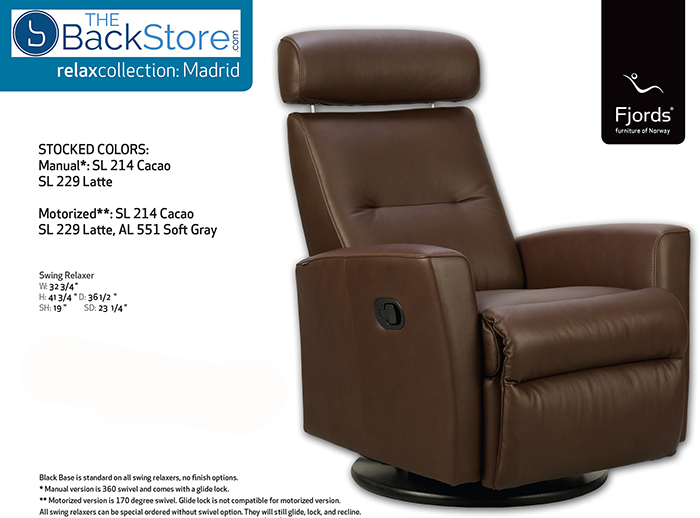 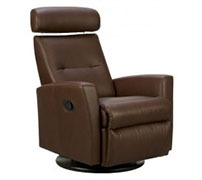 Latte or Cacao Soft Line Leather for the Electric Power Recline model.